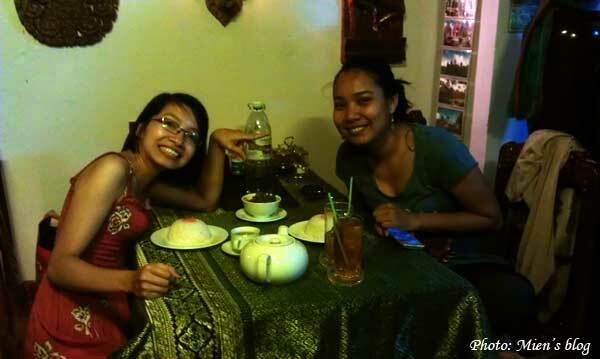 Last week I came to Phnom Penh and spent two wonderful days with my lovely Cambodian friend Kounila Keo. I first met her from the ASEAN Blogger Festival in Solo Indonesia and we’ve been talking a lot ever since, but we could only meet again just now. 1. Transportation from Vietnam: Taking a bus from Ho Chi Minh City is way cheaper than airlines. 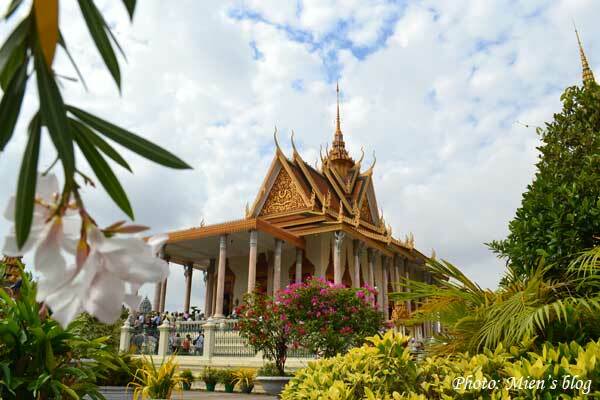 It only takes 6 hours (including waiting time at the border) to go to Phnom Penh. There are buses going directly to Siem Riep too. 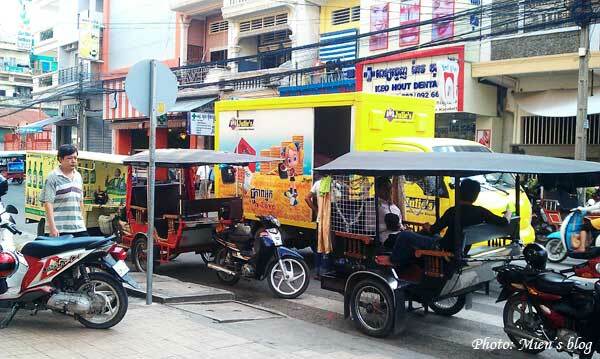 Popular bus companies include Sapaco, Mekong Express, Mai Linh, Kumho at an average price of US$12/way. Their offices and ticket agents are all over the backpackers’ area so it should be very easy for you to get the tickets. However, if you’re looking for a more convenient trip, I suggest this Cambodian bus company Giantibis. The price is higher, at US$ 18/way, but you have a very nice air-conditioned bus, with wifi and electric socket, tea/coffee and snacks. They seem to be known in Cambodia but are very new to Vietnam. Definitely next time going to Cambodia I’ll travel with them, the US$6 difference was not a big problem compared with the convenience I got. Giantibis’ ticket office in Ho Chi Minh City can be found at 325 Pham Ngu Lao. 2. Currency: Don’t even bother changing your money to Cambodian Riel. Here in Cambodia people use US Dollar. And in fact, in the Central Market in Phnom Penh, I always paid in Vietnam Dong. And you may also find out that eating out in Cambodia can be slightly more expensive than in Vietnam. 3. 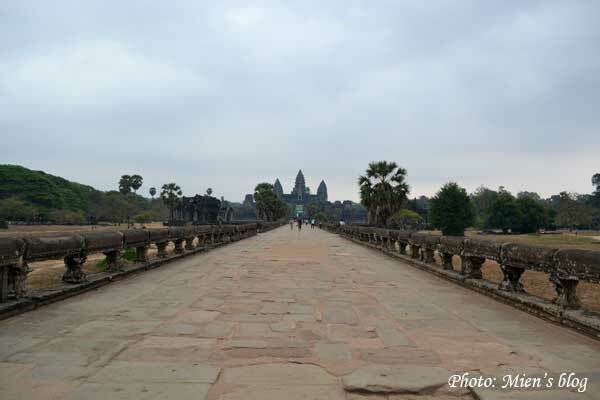 Visa: Similar to most of other ASEAN citizens, I don’t need a visa to go in Cambodia. But it’s also very easy for international travelers to get a visa at the border or on arrival at the cost of US$25 or 30 (I’m not so sure about this). 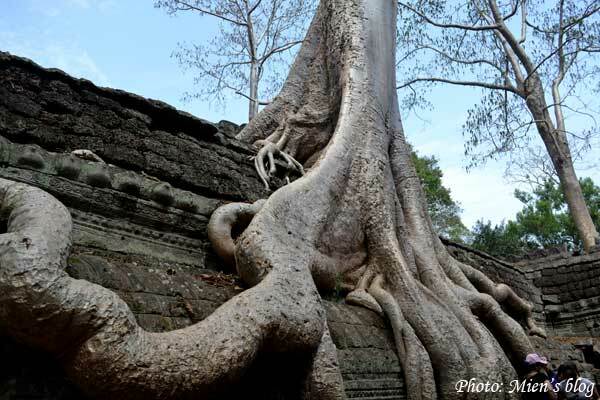 In fact, I don’t know where else in South East Asia it is as painful for travelers to acquire a visa as in Vietnam. 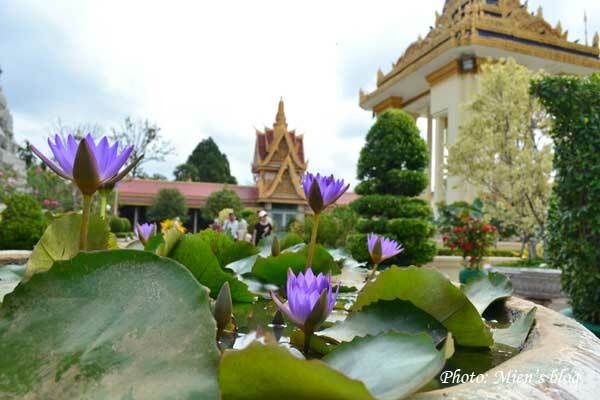 – Phnom Penh: The Royal Palace, the Golden and Silver Pagoda, the Genocide Museum. 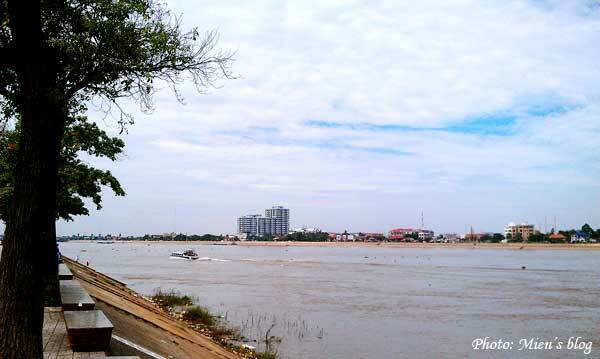 But my favorite things to do here should be walking along the Mekong River, or shopping for souvenirs in the Central Market. 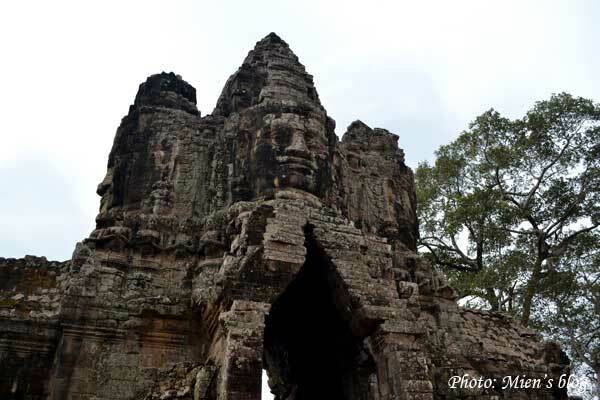 – Siem Riep: Angkor and Angkor. What else? – Near the Genocide Museum: I love the spot called Tuk Tuk Cafe (opposite the gate to the museum, a few meters to the right). Nice and clean place, reasonable price with super duper nice people. I just love them! – Near the Mekong River: I highly recommend this Boat Noodle Restaurant, which is located at No. 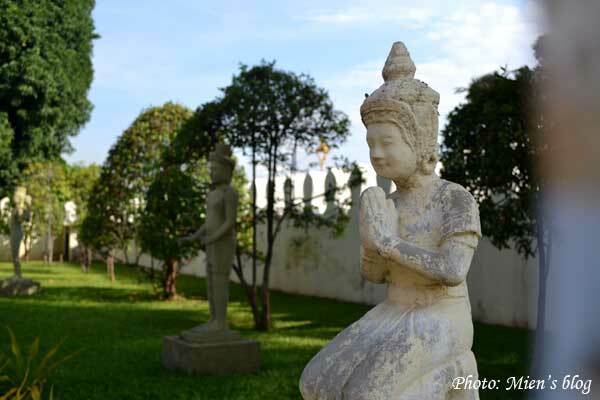 184Eo, Street 63 (Trasak Phaem), on the corner of Street 63 and Street 288. Kounila took me to the restaurant on her motorbike on a rainy evening so I didn’t really see the way, but I reckon it’s not too difficult to find this place if you have a map. “Delicious and reasonable price Khmer & Thai food”, the restaurant describe themselves, and I endorse that! Just that the staff seem not to be very attentive and don’t speak English. 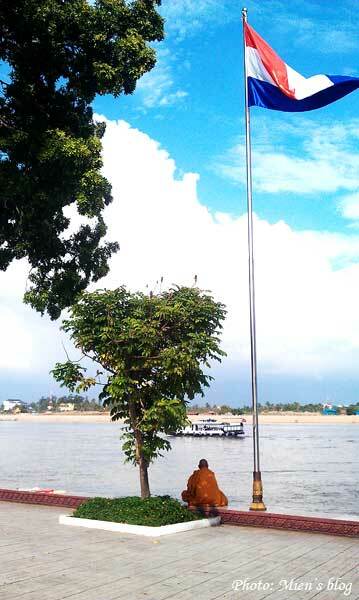 And here is Phnom Penh as I saw it this year. The quality of the images is not so high since I left my Nikon in Hanoi and had to rely on my HTC’s phone camera. 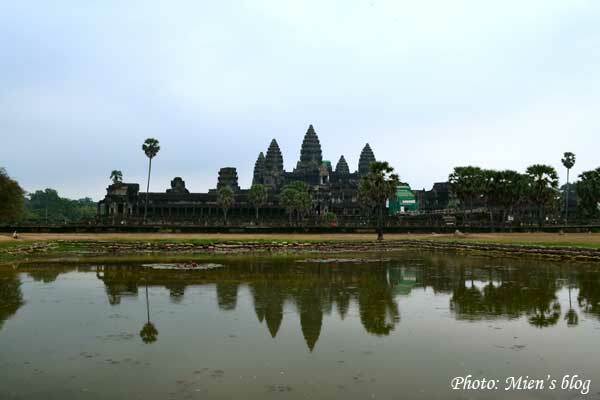 This entry was posted in Abroad Travels and tagged Angkor, Cambodia, Phnom Penh, Siem Riep, Vietnam Travels. On the topic of religion in Vietnam: So you really think we are atheists? wow, you gave a lot of practical information for travelling here, very cool. I was wondering how you felt about being charge extra for being a tourist? I heard about through Western tourist who somehow felt unwelcome when it happen to them. I probably wouldn’t mind donating to the local economy a little bit especially when you’re visiting a much poorer country but 2.5 times might be a bit steep? Well, it’s ok. I was stupid though. 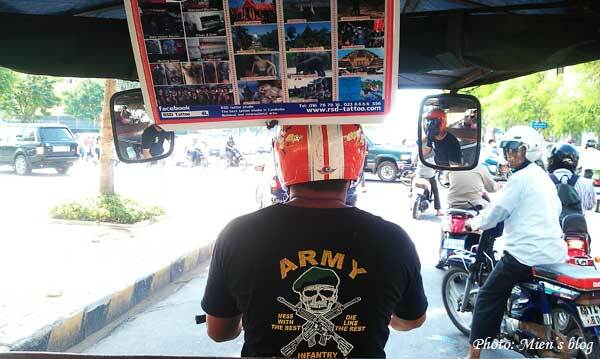 The tuk tuk ride should have cost $2.5 but he charged me $6. Only after agreeing to the price I knew that I was being dumb but that’s fine, he was quite nice though (apart from that overcharge). I think the situation in South East Asia is still less “steep” than what tourists will have to face in India. 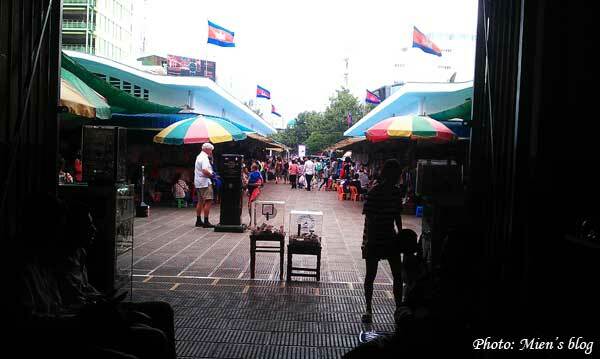 Here, the street sellers can sometimes quote tourists’ price 5 times as much as local price. Once, my friend managed to buy a small souvenir at 50 rupee when the first price was 250 rupee. But the seller was unlucky, he didn’t know she had been studying in Delhi for 3 years and even understood Hindi haha. What incredible images! It looks so peaceful there. My name is Sharon and I am the outreach intern for Pink Pangea. I am writing today because I enjoyed reading your blog and would love to publish more of your adventures on our women’s travel site, Pink Pangea. If you’re interested please email me at pinkpangeaeditor@gmail.com. Hi Sharon, thanks for contacting me. If you want to re-post any of my blogs here, please feel free too. 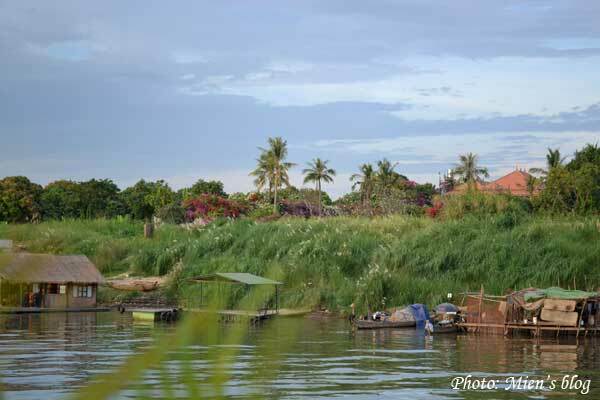 I don’t write much recently on this blog coz I’m already busy with my art & culture site http://hanoigrapevine.com/ therefore, I don’t think I will have new posts to contribute..